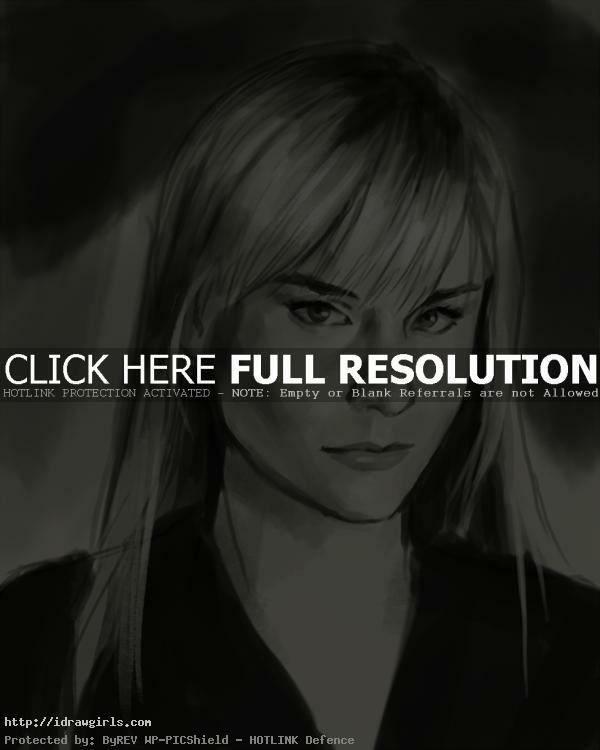 How to draw Elle Bishop from Heroes. Learn to draw Elle Bishop comics style from step by step with instruction. In this tutorial, you will learn to draw Elle Bishop in the semi-realistic comics style that resemble Kristen Bell the actress. You will learn to draw facial structure or portrait of a character from a TV series Heroes. Elle is introduced in the episode “Fight or Flight” as an agent of the Company, an organization whose primary purpose is to identify, monitor and study those individuals with special abilities. The daughter of Company head Bob Bishop, she possesses the power to generate and manipulate electricity. Elle is portrayed as mentally unstable, which is attributed to extensive “testing” condoned by her father to research her abilities when she was young. Elle Bishop was an evolved human with the ability to generate electricity, and was the daughter of Bob Bishop. Elle was recruited as a trainer and agent after a long time of brutal experimentation that left Elle mentally unstable and homicidal. Upon her father’s death, Elle was fired by new director Angela Petrelli. Here is a final drawing of Elle Bishop. 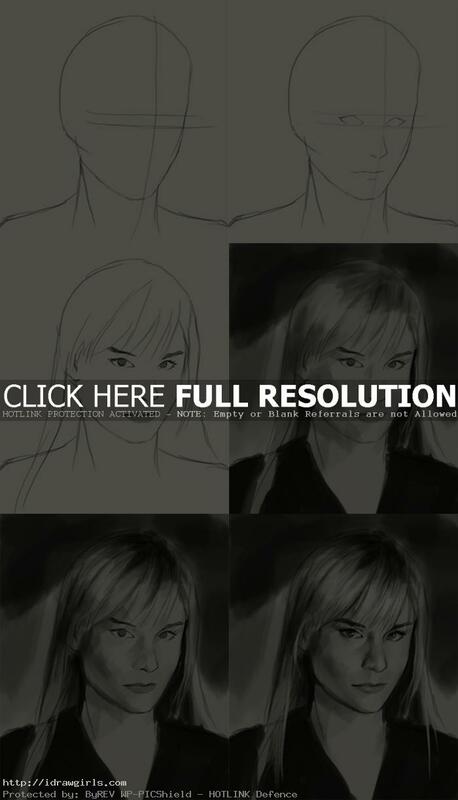 Below are step by step how to draw Elle Bishop. Step one, I start with an egg shape drawing, this portrait will be in three quarter view of a face. Never draw just the head alone. Step two, imagine a flat plane on front surface of an oval shape, then draw two vertical lines across the imaginary plane. After that, draw a vertical line to divide the flat plane in half from top to bottom. Then draw a horizontal line to separate the top and bottom distance in half. This horizontal line would be where humans eyes should be, they are usually right in the middle of the face horizontally. Step three, I add some hair. Step four, I fill her face and body with half tone value then begin to add detail to her eyes then eyebrows, and nose. More comics character drawing tutorials. How to draw Manga Cyborg 007 G.B.